On August 21st 2017 Oregonians can marvel at a Total Solar Eclipse, which occurs when the moon appears to completely cover the sun in the sky. Wilsonville area residents are lucky enough to be inside the “path of totality”, which is the best spot to witness the moon blocking out the sun entirely. Once the moon is in place and totality is achieved, there will be several minutes where the sun’s corona, or outer atmosphere, is visible. Typically, the corona is not visible because it is overpowered by the sun, so this is a rare chance to see the jets and ribbons of light twirling away from the sun. Wilsonville residents have a rare opportunity for a prime viewing of this phenomena, and we here at Findlay Chrysler Jeep Dodge RAM wanted to put together a quick guide for finding the best locations to view the eclipse. Read on to find your viewing spot! NASA has designated a list of official Eclipse Viewing Events—and three are located just a short drive away! These events offer not only a prime viewing location, but a chance to gather with others interested in witnessing the eclipse and learning more about them. This four-day event at Powerland Heritage Park focuses on education as well as viewing the eclipse. Camping sites are available for tents and RV’s August 18-21, and the long weekend focuses on educational activities relating to space. 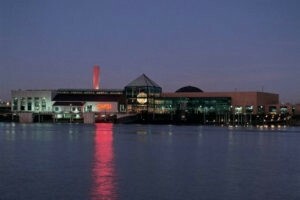 There are fourteen museums on site for you to explore, and food vendors will be on-site for your dining pleasure. To learn more or reserve a campsite, visit OregonTrolley/Eclipse. Another four-day event centering around fun and learning, the Salem-Keizer Volcanoes Minor League Professional Baseball team is looking forward to having the first ever eclipse-delay during a professional sporting event! Eclipse-viewing glasses will be provided courtesy of the team, and with a capacity for 4,254 fans (plus standing room for more!) there should be plenty of space for those interested in attending. The fun starts long before the eclipse, with BrewFest, several presentations throughout the day by NASA scientists, and even an autograph session with Ken Griffey Sr. happening on Friday, Saturday, and Sunday! Get more information on the activities planned for Salem-Keizer Volcanoes Eclipse Fest. OMSI is taking the show on the road and heading to the Oregon State Fairgrounds to celebrate the rare occurrence of complete darkness during the day with a Solar Eclipse Viewing Party. Astronomy-related community groups will be in attendance, and science lectures and other entertainment will be provided. You can learn more by visiting the OMSI website. Not interested or able to attend one of the viewing parties listed above? Don’t worry, you don’t have to miss out on the fun! Both Space.com and NASA.gov have great information on when to expect to see the eclipse in your area, how to get the best view, and what expect. Most importantly, remember to never look directly into the sun without NASA-approved eye protection. During the few minutes of totality, the sun’s corona can be viewed with the naked eye, but in the time before and after totality as the moon is getting into and out of place you need to have your eyes protected. Eclipse viewing glasses are available at many locations, and usually for about $2 a pair. We hope you take advantage of Oregon’s prime total solar eclipse viewing on August 21st, 2017, either by joining one of the NASA sponsored events above or making your own. Whether you plan to simply step outside at the right time, or make a day of it, there is plenty of excitement to be had surrounding the eclipse. 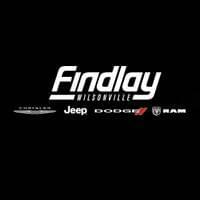 At Findlay Chrysler Jeep Dodge RAM we’re not only committed to bringing you the very best vehicles, but keeping you informed of the latest happenings in the community. Contact our staff today to learn more!